ASTANA – Two days of international talks in Astana to extend the cease-fire in Syria brokered Dec. 29 by Russia and Turkey opened Jan. 23. The talks are expected to pave the way for Feb. 8 negotiations in Geneva under the UN auspices. Monday’s meeting is the largest gathering to date in terms of parties in the six-year Syrian conflict. For the first time, both the Government and the armed opposition groups agreed to sit down at the same table. The Syrian government and Syria’s armed opposition, delegations from Russia, Iran and Turkey and UN Secretary-General’s Special Envoy for Syria Staffan de Mistura attended the meeting held behind closed doors. U.S. Ambassador to Kazakhstan George Krol attended the talks as an observer. Commenting on the results of the first public session of talks, the head of the Syrian opposition delegation Mohammad Alloush noted that he hoped the negotiations would result in a truce that will help solve some humanitarian problems in Syria. “The truce should show that it really works before we move on to other issues,” he said, tass.ru reports. Meanwhile, international meeting participants were expected to agree on a document produced during the talks, which are scheduled to end at noon Jan. 24. “The delegations of the guarantor countries, with the assistance of the UN, are working on the draft of the final document of the meeting, which would indicate the main points of agreements reached during the talks,” according to sources familiar with the process. It was expected that the talks would focus on the strengthening of the cease-fire regime and on the humanitarian aspects. Permanent Representative to UN Bashar al-Jaafari leads the Syrian government delegation for the Astana talks. Representatives of approximately 15 rebel groups represent the Syrian opposition. Turkey and Iran, the guarantor countries attending the peace talks, are represented by the deputy ministers of foreign affairs. Special Presidential Envoy for Syrian Settlement Alexander Lavrentyev heads Russia’s delegation. 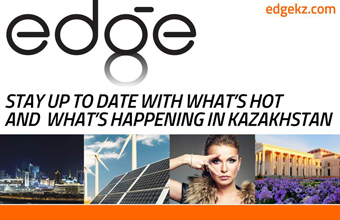 The idea to hold the talks in the Kazakh capital was initiated by Russian President Vladimir Putin in mid-December. Later, during a telephone conversation with Putin and Turkey’s President Recep Tayyip Erdogan, the President of Kazakhstan expressed his country’s willingness to host the talks in Astana. Minister of Foreign Affairs of Kazakhstan Kairat Abdrakhmanov opened the talks by expressing Kazakhstan’s willingness to assist all parties to the talks and by reading a greeting from Kazakh President Nursultan Nazarbayev. Six years of war in Syria has turned the country into ruins, killing half a million people and driving the population to seek sanctuary in neighbouring countries. From the beginning of the Syrian crisis, Kazakhstan has been urging the international community to seek a diplomatic solution, believing that military methods only exacerbate the situation. Kazakhstan has always been ready to act as a neutral intermediary for all forces involved in the conflict. “Kazakh President Nursultan Nazarbayev played an important role in mending relations between Russia and Turkey after the plane incident on the Turkish-Syrian border. I think it is no exaggeration to say that these peace talks might not happen without the conflict resolution efforts initiated by Nursultan Nazarbayev last year,” Kazakh Deputy Foreign Minister Roman Vassilenko said at a press briefing held before the talks. 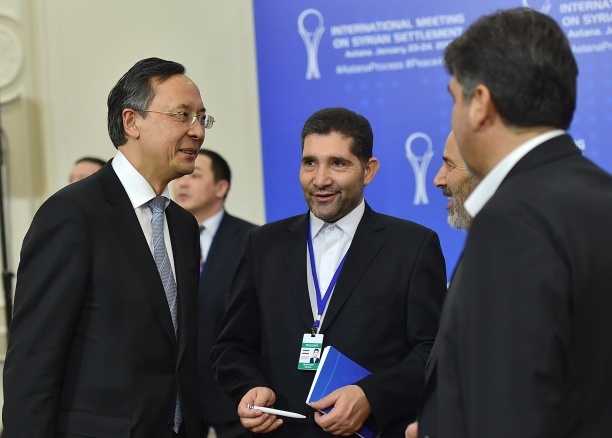 In May 2015, Kazakhstan hosted the first round of talks with representatives of the Syrian opposition committed to finding a political solution to the crisis. Later in October, the parties agreed to establish corridors for safe passage of refugees during the second round of the negotiations. Representatives of Russia, Iran and Turkey also held a trilateral meeting in the Kazakh capital Jan. 22, and reached a common ground on some points. In addition, Abdrakhmanov met with Bashar al-Jaafari and Staffan de Mistura ahead of the meeting. 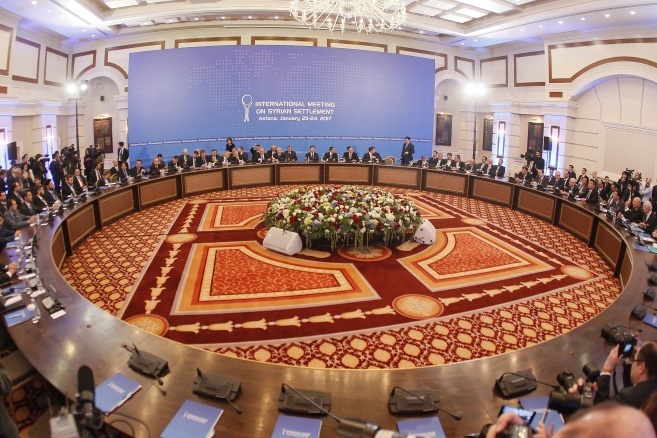 Nazarbayev had a separate meeting with de Mistura at the Akorda on Jan. 23. On behalf of the UN Secretary-General, his Special Envoy for Syria expressed gratitude to the Kazakh President for providing the venue for the Syrian talks and added that the UN is interested in the success of the talks.